Welcome to the next generation of high performance pool cues. Every Lucasi Hybrid cue features a Zero Flex Point ferrule, Total Sweet Spot construction, G5 Grip Technology and the X-Shox Dampening System to give you a cue with unsurpassed accuracy and forgiveness that's consistent no matter what - whether it's a hard break or a soft finesse shot. 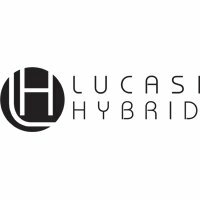 Every Lucasi Hybrid cue comes with a manufacturer's lifetime warranty against both defects and warping. This just might be the last pool cue you'll ever need! Don't forget that every Lucasi Hybrid Cue and Shaft qualifies for Free Ground Shipping in the lower 48 United States!